Late July of 2017, I began my journey to learn how to bake a simple bread. I desired to bake a bread that didn't need to be fortified, but rather a bread that was already strong, bold, delicious, and nutritious straight out of the oven. Long fermentation, I found, was the key to achieve this goal. So I mixed some flour and water, waited a few days, added more flour and water, and slowly but surely I had created my first natural leaven, or as many like to call, sourdough starter. The desire to become a baker was born. I've encountered many failed attempts and frustrated moments, but none of those have been able to discourage me from desiring to provide this humble bread to the people around me, especially those who have bad experiences with store-bought bread due to gluten intolerance. Thankfully, the fermentation process breaks down gluten and gets rid of the bran's phytic acid (and other science-y things I won't admit to fully understanding, here's a list of a few books that have helped shape my understanding of sourdough bread) which allows the wheat berry to become more easily digestible for non-celiac gluten intolerant people (and everyone else, too). In this journey, I hope to be a part of changing the common perspective on bread that is widespread in today's society, namely the idea that bread isn't very good for you. Of course, if we're talking about the modern mass-produced version that's been stripped of its nutrients, then yes that bread is quite terrible for you. Bread itself, however, as it has been prepared historically, is actually able to sustain human life. I believe this is a big part of why Jesus said as he was tempted to turn stones into loaves, "Man shall not live by bread alone, but by every word that comes from the mouth of God." Indeed, he even called himself the Bread of Life, revealing to us a greater need—our need for spiritual life, not just physical sustenance which, again, was easily found in bread. I am thankful for this reminder since it is easy to convince myself that I am in complete control of my life, when in reality it is God who has given and continues to give me life each day, regardless of how hard I try to be healthy and avoid danger. This is a theological aside that I could go on forever about, so email me if you're interested, but back to the bread. How can this wholesome bread become more widely available? I believe the answer is not found in mass bread producing companies, but rather in the resurgence of the local baker. 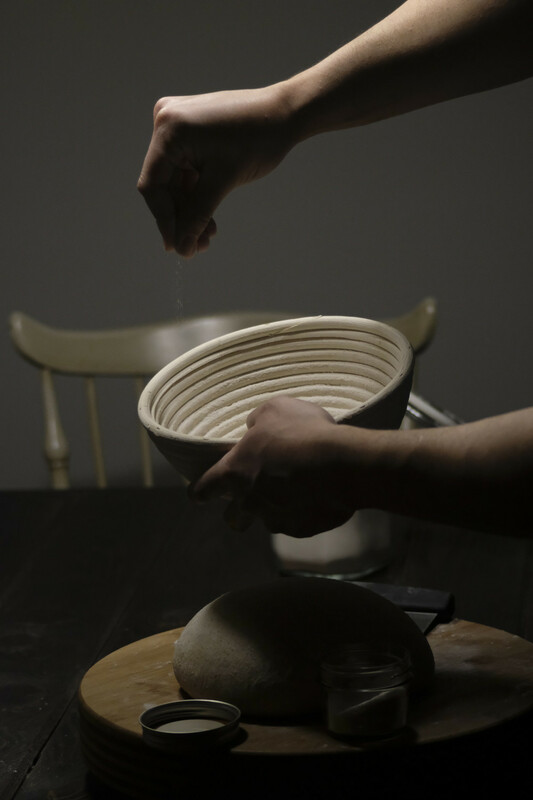 Imagine if every town had a baker or two who were dedicated to creating a high quality product. This is something I hope to contribute to and become a part of. Health benefits aside, this bread is simply delicious. It doesn't have the "well, it's healthy so I guess I have to eat it" factor. It's just super tasty. 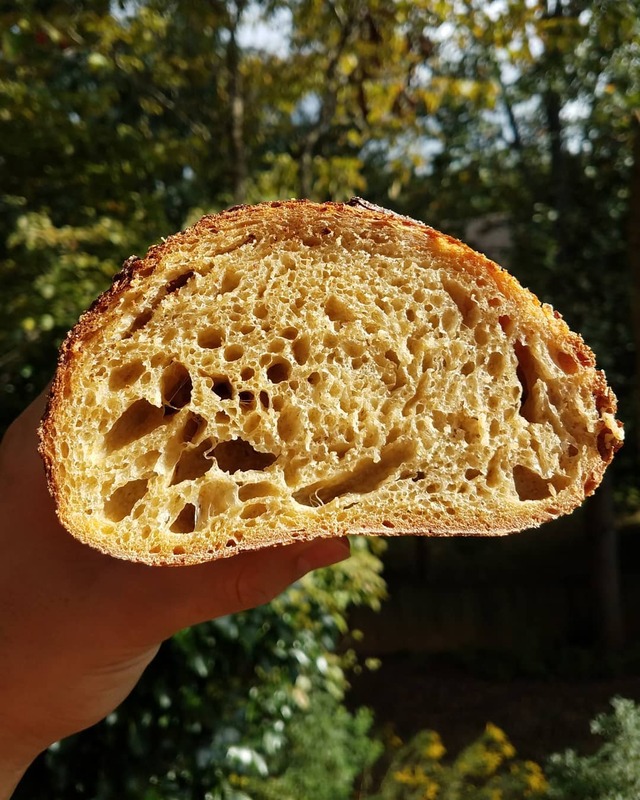 It is now the Spring of 2019, and alot has happened since the Summer of 2017--the summer I began this bread journey. It has been a journey of constant questioning--why am I doing this? I can't say that I have an answer yet, but what I can talk about is how thankful I am for these few past experiences in the food industry, despite how my decisions haven't made sense on paper considering the fact that I have a bachelor's degree and could have likely gotten a good paying job straight out of college. But everyhing happens for a reason, right? The moment I knew I'd have an opportunity to really develop my skills as a baker came when I met Shay Lavi, an amazing chef who Atlanta Magazine described as an Israeli Grillmaster. He was introduced to me as "a chef who needs someone who knows sourdough". Right around this time I was getting ready to finally start seeking a job related to my degree in digital marketing. I had spent a solid amount of time learning web development, improving my front-end skills and graphic design skills, so I was feeling a bit more confident to develop those skills more in a career setting, but I found this opportunity interesting enough to postpone digital marketing for a bit longer. 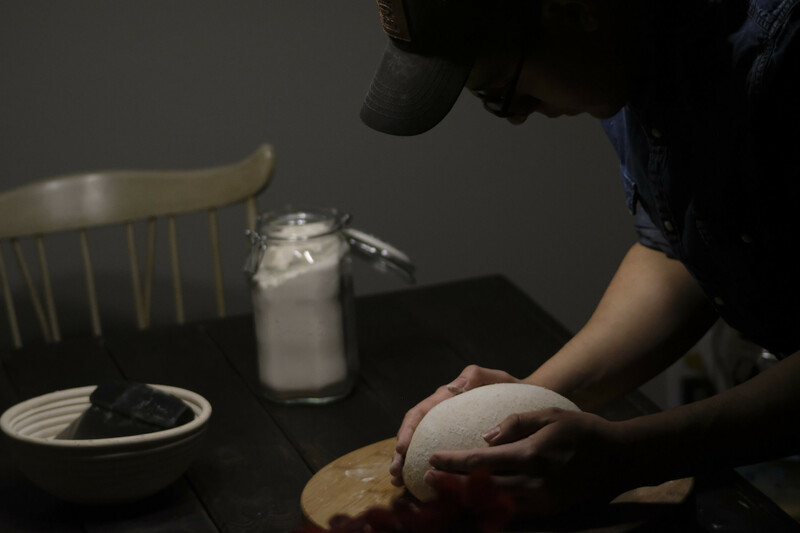 The reason Shay needed a sourdough baker was because he was just about to open his very first restaurant called Rozina Bakehouse & Coffee showcasing Euro-Mediterranean foods and pastries, and sourdough would be a big part of making the restaurant menu come to life. 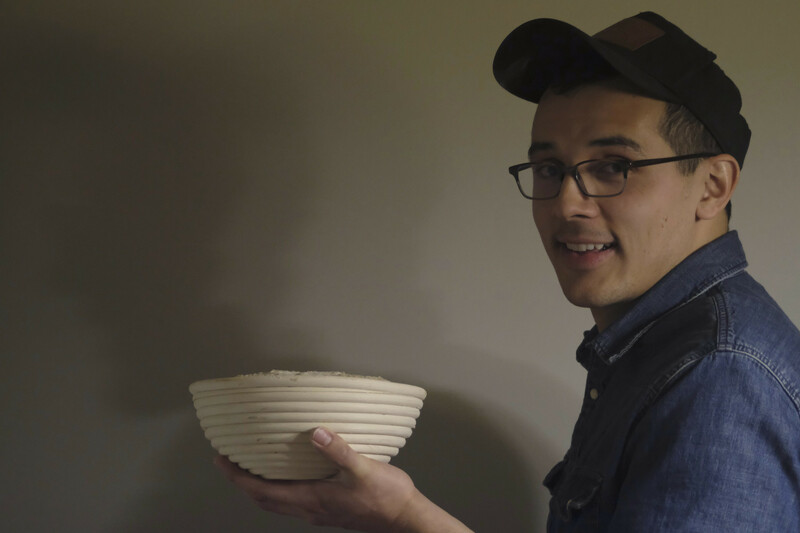 Initially the plan was to wholesale dough (which is an interesting concept that I'm not sure would have worked anyway), but not too long after collaborating with Shay, we started developing a legitimate friendship that led to Shay asking me if I wanted to join the team. I was reluctant at first, but there was a part of me that knew that I'd learn alot through experiencing the opening of a resturant from scratch. It also occured to me that I do care alot about small business and that if small business marketing consulting is something I might consider in the future, why not experience the craziness firsthand? And it was definitely crazy. There's alot of pressure when you're being depended on to be the bread supplier of a resturant, but it was a pressure that I loved. It was scary, but it pushed me to get better. Shay and his chef partner, Al Betty, taught me fundamental kitchen concepts, helped affirm skills I had that I didn't quite see, and pushed me to have what I think is extremely valuable in every aspect of life, which is consistency and pace. I'm the type to get easily overwhelmed and frazzled as friggin' heck, but at Rozina I learned the importance of taking the time to take deep breaths, to reset and refocus. It sounds so basic but it's something that I've lacked. So I'm thankful for that. Unfortunately, it did come to a point where I knew I couldn't stay at Rozina for logistical reasons, but there was still an immense amount of value I gained for the few months I was involved--an immense amount of character building. 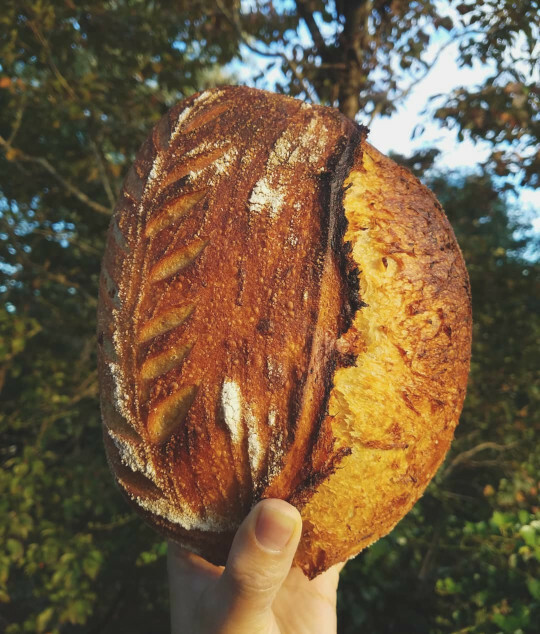 I am happy to say that I helped Shay become more comfortable with sourdough, so much so that he's been able to completely take over, allowing me to continue developing in my own career. He's a good homie. You gotta try his food at Rozina. It's the goodness.